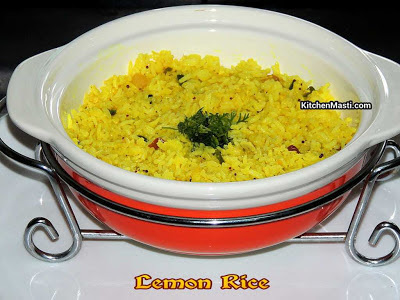 How To Prepare Raw Mango Rice / Mavinkai Chitranna. 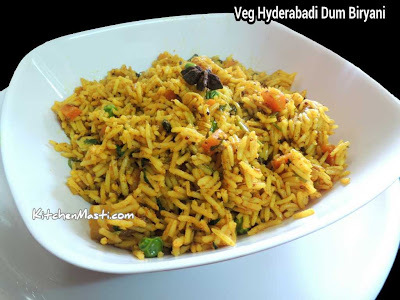 The time taken to prepare this mango rice is about 45 minutes and the quantity mentioned here is enough for 3 servings. Green raw mango - 1. Coconut scrapings - 1 / 4 cup. Red chilli ( byadige ) - 1 broken. Curry leaves - 2 strings. Bengal gram dal - 1 / 2 tsp. Ground nuts - 1 / 4 cup. Method To Make Mango Rice. Boil the rice in the pressure cooker in the ratio of 1 :2 . ( 1 rice : 2 water cups ). Peel the outer covering of the mangoes and grate it . Discard the seed. Heat a deep pan with oil in it. 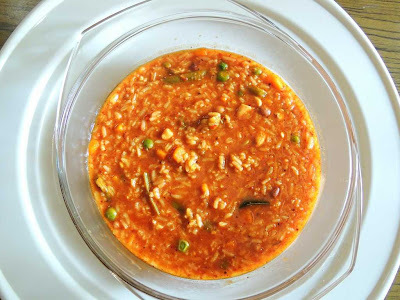 Add broken red chilli, urad dal, bengal gram dal, mustard seeds, ground nuts and curry leaves into it. Saute for a few minutes till the ground nuts are properly fried. Add chopped green chillis and grated mango into the pan. Fry the mixture on a medium heat for 2 minutes. Add turmeric powder,coconut scrapings, coriander leaves and salt into it. Finally add the boiled rice and toss it well with the mango mixture. 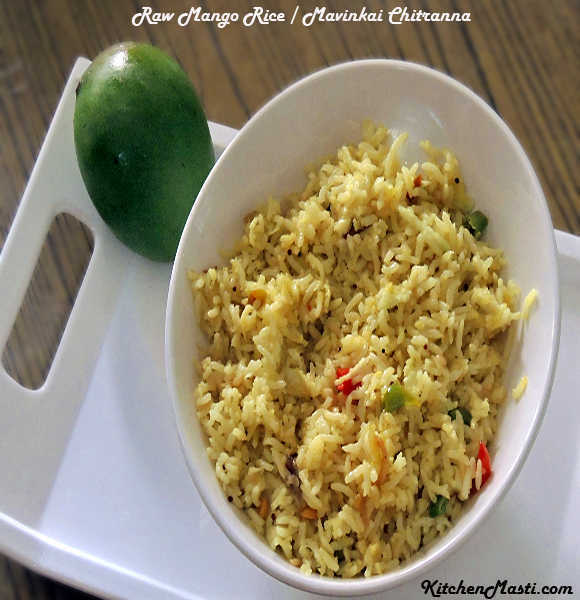 Your tangy and crunchy Green raw Mango rice is ready to be served !!!! The rice should be properly boiled. 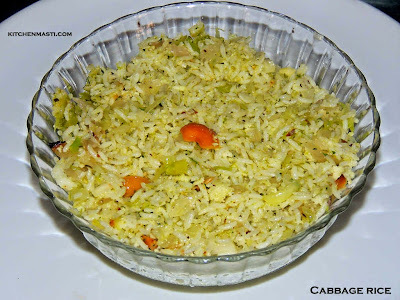 Mushy rice will ruin the texture of the dish. The quantity of grated mangoes should be usually be half of the rice volume. 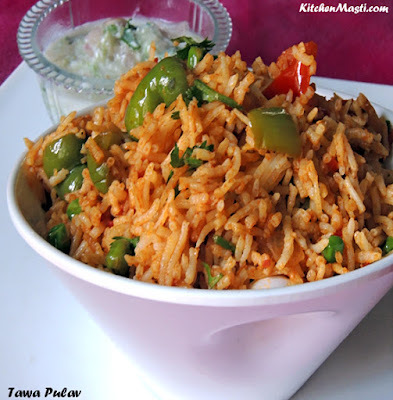 During the off mango season, you can even use raw mango powder ( amchur powder ) and prepare this rice. Using Coconut oil is best for this rice but however if you wish to refrain from it, then you may use any oil of your choice. Add half tsp of sugar if the mangoes are too tangy.